It’s not an easy task to write about a man who was named God and turn it into a story, as the back of the book says, “This is a Story”. Powers of Imagination have to run wild and that’s what Mr. Pullman has done with this book. He has taken it to a whole new level. I do not love reading all books, contrary to popular belief, I love reading good books and thank God (hmmm is the pun intended? I do not think so) for writers such as Mr. Pullman. 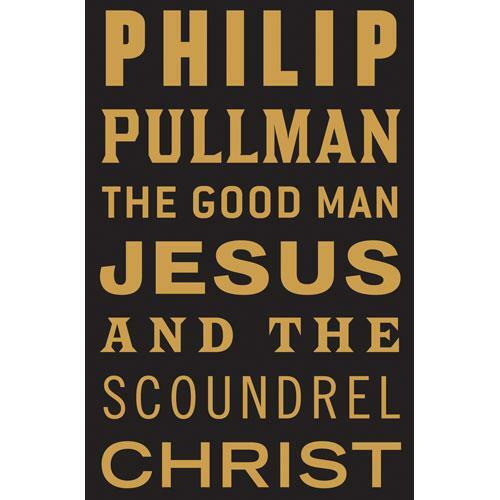 The Story of Jesus H. Christ is said to be the Greatest Story Ever Told and yet Philip Pullman’s book is set on the premise that how do we know the facts if we were never there? Could the story be any different? Can it be made different? And that’s what it sets out to do. It makes it human. It is almost as good as believing a traveller who has travelled wide and far and one cannot challenge what he says. One just believes it. I was scared before the book was published. I thought that may be devout Catholics would condemn this book (and may be they did), however I was not aware of it. I was just excited to read this book and like I said earlier, I enjoyed reading it. This book was not written with the intention of scandalising people or the faith, it was written just to see things differently. The teachings are the same that are mentioned in the Bible. It is just made easier for people to understand. Mr. Pullman takes it a step further by making us see that if miracles did not happen, they might have to be created. To keep the faith alive. Seen through the eyes of Jesus and his twin Christ, the book runs through not proclaiming that the Bible is false or was false, but just that this book is only a story. After all it all depends on who is reading it, right? This entry was posted in Books, Review and tagged Bible, literary fiction, literature, penguin group, penguin viking, philip pullman, the good man jesus and the scoundrel christ on May 13, 2010 by thehungryreader.